Successfully Added Detachable Panel Car Audio Player - 1 - Din - SD/MMC to your Shopping Cart. 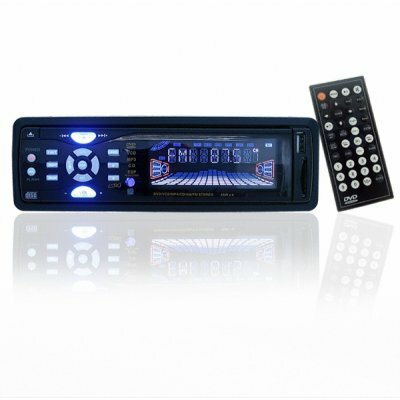 Great wholesale car audio player product with 1 din ISO dimension and USB port to connect. It is compatible with DVD, DVD-R, MP3, VCD, CD, CD-R/RW disk and features high quality AM/FM turner. Add a high quality LCD screen in the car, and you will be able to send video directly from the car DVD player to the screen via the RCA OUT. This is a super low wholesale priced car audio and video player for turning any car into a multimedia center.